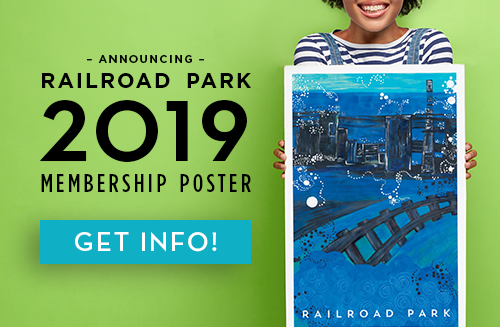 Railroad Park is a 19 acre green space in downtown Birmingham that celebrates the industrial and artistic heritage of our great city. Situated along 1st Avenue South, between 14th and 18th Streets, the park is a joint effort between the City of Birmingham and the Railroad Park Foundation. 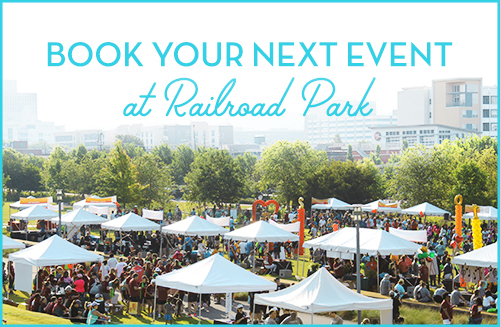 Hailed as "Birmingham's Living Room," Railroad Park provides a historically rich venue for local recreation, family activities, concerts, and cultural events, while connecting Birmingham's downtown area with Southside and UAB's campus. 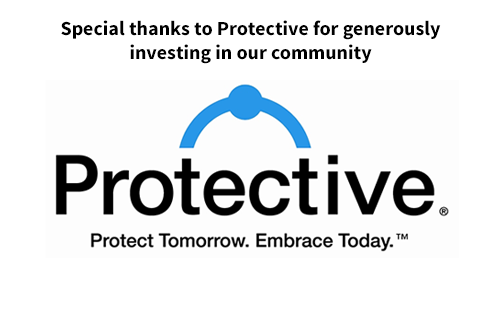 Click here to learn about the benefits of membership. Feel the burn while dancing to the beat at Hip Hop Cardio! This high-endurance exercise class features fun, hip hop inspired choreography that's guaranteed to make you sweat. You’ll dance your way to good cardiovascular health, strength & flexibility with our sizzling playlist! 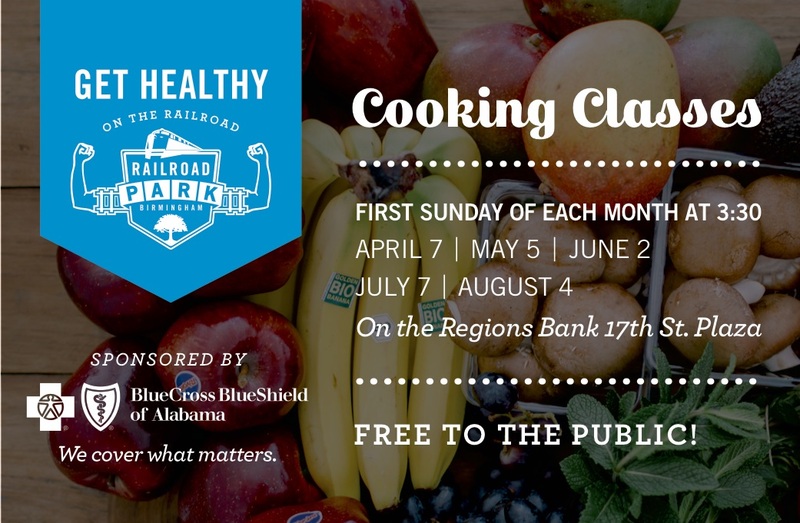 This class is FREE thanks to Blue Cross and Blue Shield of Alabama. Please arrive 15 minutes early to register. You will be required to sign-in each time you participate in this class. NOTE: Class instructors are subject to change based on availability, and classes will be cancelled in the event of inclement weather. Class cancellations will be determined by 4 pm. For timely updates regarding class schedule, please visit the Park's Calendar of Events and our Facebook page. Designed to keep workouts challenging and fun, this class tones muscles, builds endurance, and boosts metabolism. The high gear, heart pumping interval workouts leave participants feeling stress-free and motivated, with metabolism increased for 12-16 hours afterward. Zumba is a Latin-inspired dance fitness class that blends basic dance moves with aerobic steps. Zumba is fun, energizing, and easy to follow. Yoga strengthens and tones the body, promoting balance and flexibility while quieting the mind. This inclusive class is structured for participants at all experience levels. This class invites collaboration and a little friendly competition with team activities like kickball, soccer, and whiffle ball. A new game each week keeps it interesting, with low to high impact games promoting exercise, mental health and fun. Greater Birmingham March for Babies will take place on the SPIRE West Green from 8 a.m. to 12 p.m. on Saturday, April 27. For more information, visit www.marchforbabies.org/event/birminghamal. Private Event: Hope on the Horizon Walk will take place from 2 pm - 4 pm on Saturday, April 27. The rest of the Park is still open to the public. Private Event: A private birthday party will take place on a piece of the Meadow (corner of 1st Ave S and 15th Street). The rest of the Park is still open to the public. 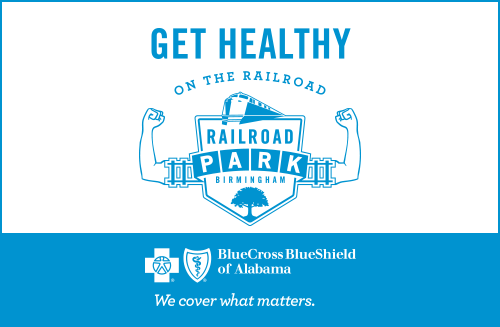 BHAM26.2 Marathon and After Party will take place at the Regions Bank 17th Street Plaza and Amphitheater. The rest of the Park will be open to the public, but be aware of street closings in the area. For more information about BHAM26.2 and a full schedule of events, please visit their website. Private Event: A private Walk-a-thon will take place at a piece of the EBSCO Industries, Inc. West Gate from 9 a.m. - 11 a.m. on Sunday, April 28. The rest of the Park is still open to the public.